I did a 7 minute interview with Oregon Public Radio on the possibility of an Alaska-Virgin America merger. As you can imagine, they’re pretty concerned about what that might mean for Portland. You can listen to the interview here. Well there are a lot of large people living in Hawaii and Hawaii is a long ways away from the nearest land to be crammed inside some of those seats, so I can understand the states representatives speaking out. Virgin is a MUCH better fit for JetBlue with a common fleet, similar marketing presence and the West Coast and Hawaii presence it would bring for them. I believe Alaska’s bid is purely defensive. I they did win I would see them operating Virgin as a separate entity until they could dismantle it and dump the airplanes. Whether or not that is a good strategy is certainly debatable, but it has been done before, notably when American acquired TWA which didn’t turn out very well. Airline seats have gotten so small that business travelers with employers who will only pay for coach feel abused. The airlines have come up with a solution: Elite status for frequent fliers that usually offers an out from the new cramped standard coach. 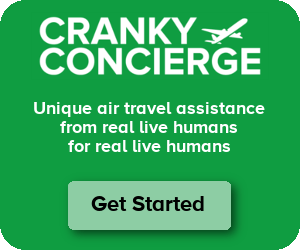 Now some airlines are deciding to actually sell their first class seats rather then give them to frequent fliers and the frequent fliers are outraged. My solution is for the government to regulate a minimum seat size that than be called standard economy. Then if airlines find customers who want to buy sub-standard economy super cramped seats they can do so if there enough little people who are comfortable in smaller seats and larger people willing to be really cramped to save money. What’s next Jonathan, government regulation of car seat sizes? Movie seat sizes? This is an area where the free market is delivering exactly what the public is asking for….the lowest possible fares. Of course, to get there, you need to jam in the seats. If you regulate a larger seat size, expect to pay more for your ticket. Or, if paying more is OK with you, you could take advantage of products that already exist like premium coach and business class. Either way, if you want more room, it’s going to cost more….simple economics. Yes, I realize that prices have to be inversely proportional to seat density and that seat density is inversely proportional to the product of seat pitch and width. So a little wider seat and little more legroom costs double a little more. I pay more when I travel for more space. I’m not asking to regulate seat size; I’m asking for labelling standards. What’re the odds Virgin becomes the working name under an Alaskan buyout? If Alaska wants to expand outside of the Pacific Northwest, they’ve got to do something about their name. The fleet complete incompatibility is my biggest worry, but I guess Alaska has figured out a way to make it work. Will they dump all of the brand new (and relatively new) a320s virgin has? I think Alaska may try to use a lot of Virgins appeal and “coolness” to to try and win back passengers at SEA where delta has been giving them an all out war. I’m excited to see what comes of all of this.